We having been running tours since 2001 for groups with a special interest in the history of the development of the V2 rocket during World War II. These take in the R&D site at Peenemünde on the Baltic island of Usedom, and the Dora concentration camp at Nordhausen in central Germany where the rocket was produced by slave labour inside the Harz Mountains. We start & finish in Berlin, allowing a brief bit of sightseeing there too. Here is a suggested itinerary idea (from our September 2015 tour for the British Interplanetary Society). Shorter tours would also be available taking in only Peenemünde. 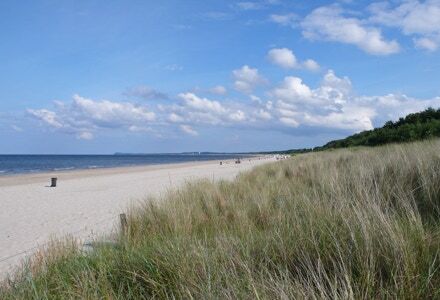 Leave 0830 for 3 hr 30 minute drive to the Baltic island of Usedom (+ coffee stop). Opportunity for snack lunch in Karlshagen. Leave 0830 for 20 minute drive to Peenemünde West. 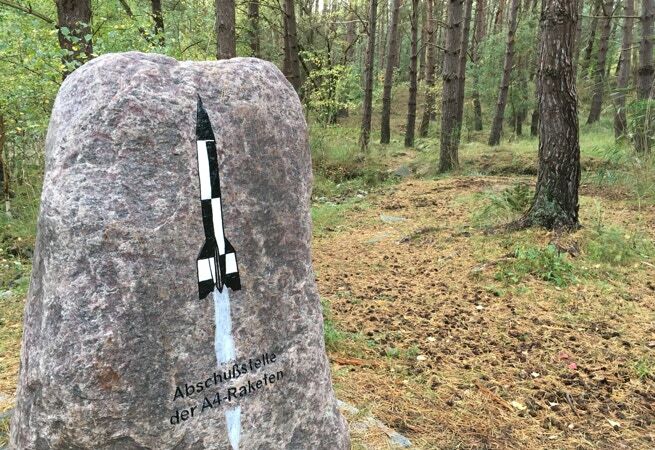 I will introduce your Guide, who will take you on a 90-minute guided which is scheduled to take in the site of the first V1 launches and Test Stand VII, the V2 launch site (previously not open to the public). Afterwards, transfer to the Peenemünde Museum in the old power station buildings; free time after to enjoy Peenemunde port (visit a 1960&apos;s Soviet submarine ?) & get lunch. Coach leaves at 1430 to return to Zinnowitz. Time to enjoy the Baltic resort. (Option to stay on at Peenemünde and catch the train back). Leave at 0830 for 3 hr 30 minute drive to Potsdam (plus early snack lunch stop). Guided visits of the Cecilienhof Palace, site of the July 1945 Potsdam Conference. On a further 1 hour 45 minutes to Leipzig - two nights in the Ibis Hotel Leipzig Centre. Guided city centre walking tour. Leave 0830 for 90-minute drive to Nordhausen for a guided visit to the Nordhasen-Dora concentration camp, which includes going inside part of the tunnels complex where the V1s and V2s were assembled. Free time for the museum and for exploring the camp. Lunch break in Nordhausen town. Leave 0830 for 2 hour 30 minute drive back to Berlin. Drop-offs at Tegel airport around 1130, main train station 1215 (use left luggage facilities here if you want free time in Berlin before later flights: direct bus to Tegel & train to Schonefeld), hotel 1230, and Schonefeld at around 1330. Arrivals at hotel between 1500 and 2000. 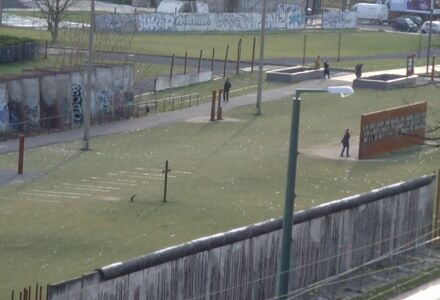 Free &apos;starter&apos; - a 90-minute guided walk at 1630 for those who wish, taking in the route of the Berlin Wall, ex-Luftwaffe HQ, site of Hitler&apos;s bunker, the Holocaust Memorial and the Brandenburg Gate (S-Bahn back to hotel). 0830 departure by coach for 50 minute drive to Zossen, for a guided tour of the remains of German Army HQ bunkers 1939-45. 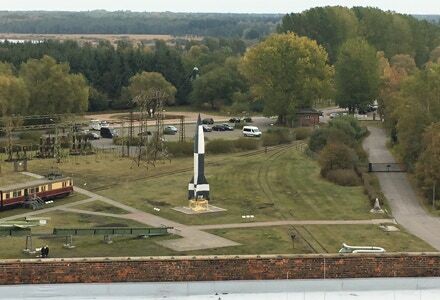 Then to the Kummersdorf rocket test ground from the early 1930&apos;s with a short talk from the Director of the site & a museum visit. Back into Berlin for afternoon tour taking in Templehof airfield (1948 Airlift), the Soviet Memorial at Treptower Park, and the Berlin Wall Memorial Centre with a guided walk along a preserved part of the Wall.